Can capturing global ecosystem service values reduce poverty? On the 8th November more than 100 people attended a launch for the p4ges project. 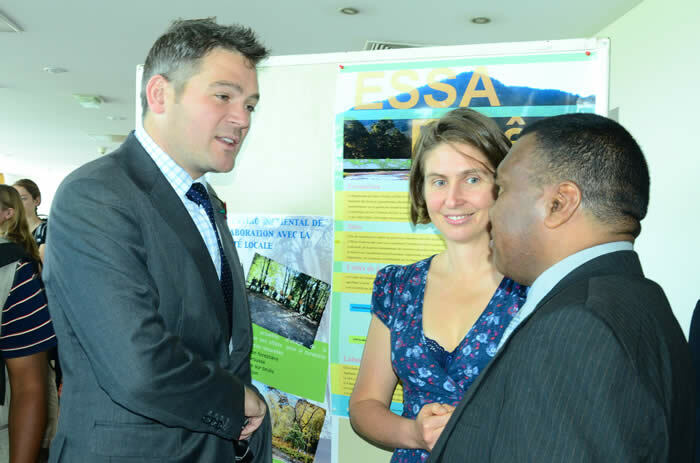 The project was launched by the director general for forests of the Malagasy Ministry of Environment (Jean-Claude Rabemanantsoa) and the director general for research from the Ministry of Research and Higher Education (Claudine Ramiarison). Dr Julia Jones, Julie Razafimanahaka and Prof Bruno Ramamonjisoa introduced the aims and objectives of the p4ges project to an audience of government, NGO and civil society groups interested in environment and poverty issues. The audience asked searching questions and gave advice to the research team about how we could ensure long term impact. A main message was the importance of communicating results within Madagascar through publishing in open access journals, and communicating in language and ways that policy makers and local communities can understand. 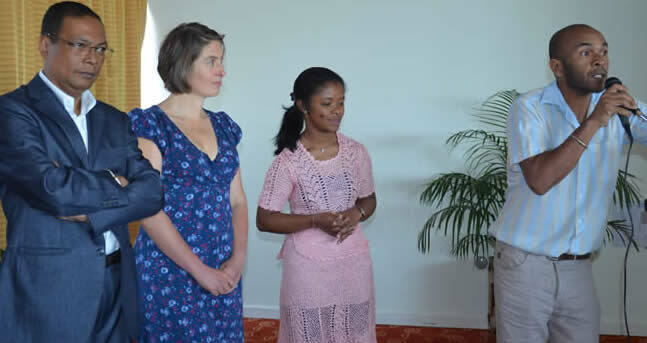 The meeting was closed by the British Ambassador to Madagascar Tim Smart representing the British Government who are ultimately funding the p4ges project. The funding comes from the espa project (with funding from NERC, ESRC and DFID). Mr Smart emphasised the importance of ecosystem services to local livelihoods in Madagascar-a country where a majority are rural and dependant on small-scale agriculture.